Bet Advisor- Sports Betting Tips Soccer Prediction gives daily soccer predictions, tips with matches containing high odds and low risks. The football betting tips given will give you a betting experience you never had before. In charge we have a team that has a leader in Thomas Mills a senior Tipster with more than 8 years experience. 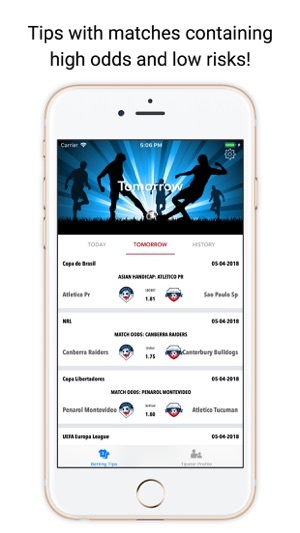 With build in features that will help you with the best football betting tips (predictions). And Many More Football Betting predictions, tips! 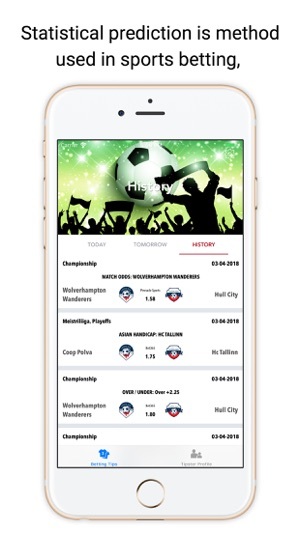 The betting tips, predictions that our app delivers has become the reason for many success stories, be one of them now! Alongside the carefully tested algorithm which gives football predictions, tips with high odds we also got our confidence from some great responses from our customers from our football betting tips (predictions). 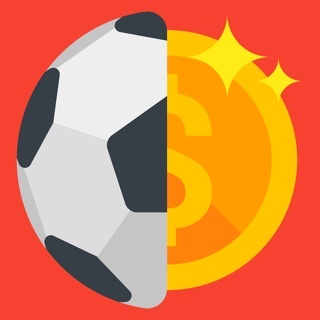 Our football predictions, tips helped them to get a better insight on what to look for in a match, some of the tactics that we have in our algorithm are also used by many multi-millionaire bettors around the world. But unfortunately, most “every day” bettors don't know how to research data of over 100 soccer matches daily to optimize their bettings. That's where this app will help you! 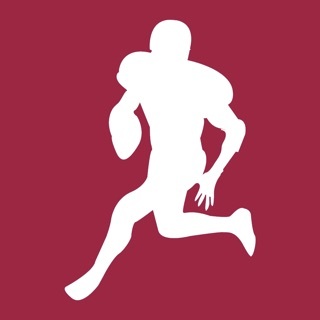 By filtering only the best football predictions, tips for you! Our users are using Bet Advisor- Sports Betting Tips Soccer Prediction and use it every day now to keep on winning! So wait no longer and make sure that your winning streak begins today with our winning soccer predictions, tips! Bet Advisor- Sports Betting Tips Soccer Prediction doesn't support gambling of any type and is also not a tool to use for gambling. Installing the app means that you are aware of this. We work hard to improve the application. We updated the code to swift 4.2. If you like our app please write a small review. 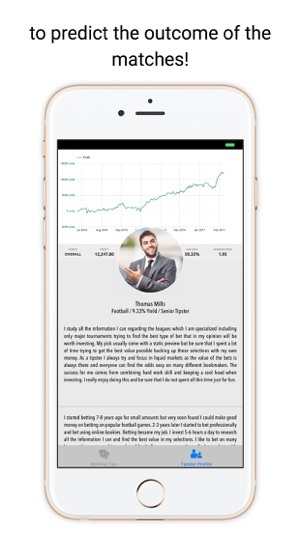 This is the best app for investing my money. 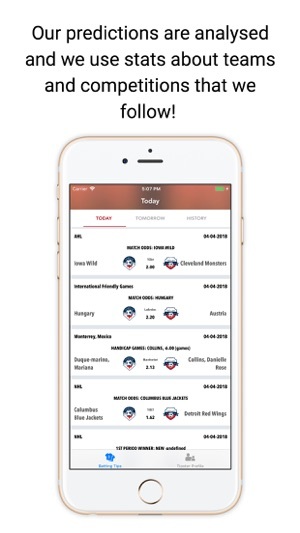 I manage to make a 10% profit per year using the betting tips from this app. 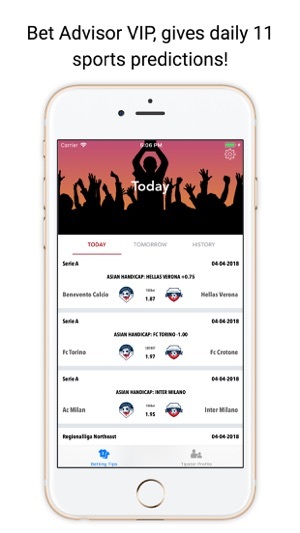 this app offers professional predictions, clear profits, controlled investments. So i can say right now: betting is not a gamble if you know who to trust! Thank you, Cristina! keep us updated with your gains.